"A Proclamation by the President." 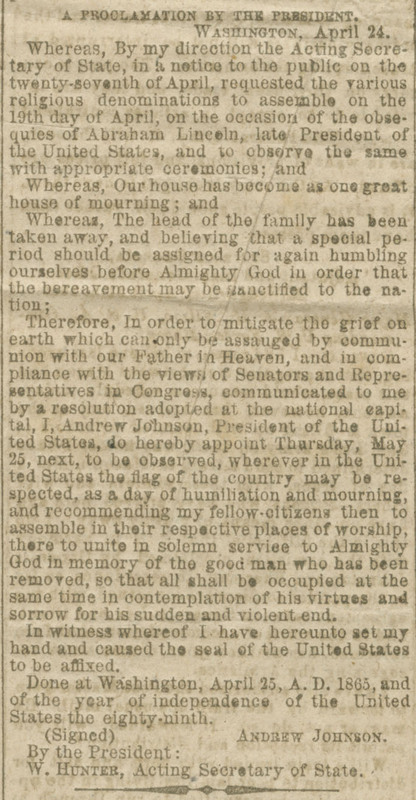 Proclamation issued by President Johnson, declaring May 25, 1865, as a national day of mourning: "...to be observed, wherever in the United States the flag of the country may be respected...recommending my fellow-citizens then to assemble in their respective places of worship, there to unite in solemn service to Almighty God in memory of the good man who has been removed, so that all shall be occupied at the same time in contemplation of his virtues and sorrow for his sudden and violent end." 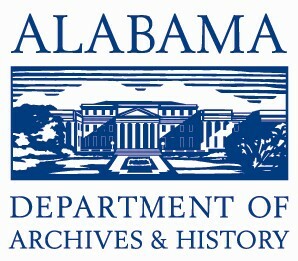 Published in the Montgomery Daily Mail on May 8.